Richard Avedon (b. 1923) was one of the most important and prolific photographers of the second half of the twentieth century, and in the eyes of many photography and fashion specialists, he was the most important fashion photographer of all time. In a career spanning sixty years he showed himself capable of almost constant stylistic reinvention, yet in retrospect his oeuvre also demonstrated a remarkable coherence and strength that far surpassed the narrow confines of fashion photography. He was acknowledged by his peers for his superb work as early as 1950, when he won the Highest Achievement Medal of the Art Directors Club in New York. Only eight years later he was named by Popular Photography magazine as one of the ten most important photographers in the world. By the end of the twentieth century, having garnered handfuls of honorary degrees, lifetime achievement awards, and other prestigious prizes, Avedon was identified by the Photo District News as "the most influential photographer of the past twenty years." These successes were due in no small measure to his acute sensitivity to the social and artistic revolutions in American culture. As the historian Nancy Hall-Duncan observed in 1979, "This sense of timing and flexibility-representing the desires of our society and reflecting its mood with uncanny sympathy-was Avedon's forte from the start of his career." This talent also helps to explain why he was never displaced by a younger pretender, as happened to so many of his rivals. John Durniak once reported in Time magazine that an admiring colleague considered Avedon "the white mechanical rabbit that all other photographers tried to catch" but never could. Even allowing for the hyperbolic language of the fashion industry itself, which anointed him the king of fashion photography, Avedon could claim a towering record of achievement. Richard Avedon was born in New York City, the son of Russian Jewish immigrants who owned a department store in Manhattan. His school years revealed a marked literary aptitude: he was coeditor with James Baldwin of the De Witt Clinton High School literary magazine, and he was named poet laureate of the New York City high schools in 1941. A brief period of study in philosophy at Columbia University was followed by two years in the U.S. Merchant Marine (1942-1944), after which Avedon undertook intensive visual studies with Alexey Brodovitch at the Design Laboratory of the New School for Social Research. New York had everything the ambitious young man wanted: "theater, movies, music, dance." Part of Avedon's visual education had come from his love of photography. As a teenager he had decorated his room with the work of the masters; as a mature professional, he benefited from the lessons of his predecessors. This keen awareness of the accomplishments of previous artists in the field, and a philosophical bent that allowed him to consider the medium of photography in abstract as well as practical terms, encouraged him to explore the full gamut of the medium's possibilities. For example, switching to a large-format camera after he had started his career in fashion photography with the more flexible Rolleiflex made him realize that throwing the background of a shot out of focus reduced the sum of detail and created "an ambiguous narrative relationship between the knowable (what's sharp), and the unknowable (what's blurred)" (Thurman and Avedon). Avedon's arrival on the scene coincided with the final years of the dominance of haute couture. In 1945 Carmel Snow invited him to join Harper's Bazaar as staff photographer, where his mentor Brodovitch was already working as art director. Avedon thus stepped into the shoes (but not the footsteps) of the great neoclassicist image-maker George Hoyningen-Huene, who was convinced high fashion was dead. Hoyningen-Huene greeted his young rival disdainfully with the phrase, "Too bad … Too late!" It was this atmosphere of ennui that Snow wished to dispel in and with her magazine. The visionary editor wanted to reinvigorate the Parisian luxury business by opening the vast American market to it, and she needed an interpreter of French taste who was less aloof than Hoyningen-Huene-someone who could temper the classicism of French couture with American zest. It was not surprising that Avedon always acknowledged the Hungarian photojournalist-turned-fashion photographer Martin Munkacsi, rather than the patrician Hoyningen-Huene, as a key influence on his style. Munkacsi was a pioneer of the out-of-doors realistic fashion photograph, a major stimulus to Avedon's own approach, although the fact that Avedon skillfully combined the exuberance of outdoor photography with the static tradition of the studio showed that he had absorbed lessons from the Baron Adolf de Meyer, Edward Steichen, and George Hoyningen-Huene as well. 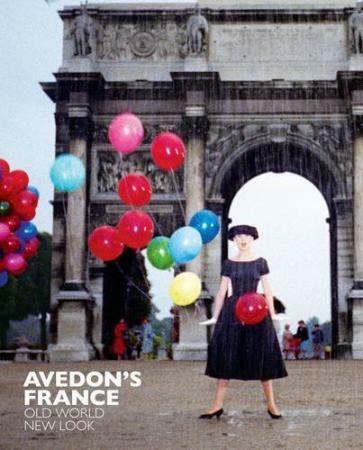 For the next four decades Avedon's name was synonymous with the best of fashion photography. Between 1947 and 1984 he photographed the Paris collections for either Harper's Bazaar or Vogue, and he worked exclusively for the latter from 1966 to 1990. Avedon preferred to work repeatedly with the same models, establishing a rapport that, in his words, was "built from sitting to sitting and from season to season." Whether the sitter was Suzy Parker wearing Gres, Dovima wearing Dior- "Dovima Among the Elephants" (1955) is arguably Avedon's most famous photograph-or Jean Shrimpton and Veruschka dressed in psychedelic whimsies, the models wore the clothes as if they were born to them. Avedon's earliest photographs showed women dancing, partying, skipping about from one lively boîte to another on the arm of debonair escorts, the images always striking a careful balance between factual information about the dresses and impressions of how the women looked-and more important, it was implied, felt-wearing them. Despite the seemingly spontaneous character of the images, however, the photographer carefully researched his outdoor and indoor settings before he undertook the sittings. Avedon's intense early commitment inevitably took its toll. After twenty years in fashion photography, he decided that there was "too much narcissism and disenchantment" in the work. The outdoor images gave way to a harsher minimalist aesthetic that was even described as "cruel," the fabrication of which was possible only in the studio. "I've worked out a series of no's," Avedon wrote in 1994, " … no to exquisite light, no to apparent compositions, no to the seduction of poses or narrative. And all these no's force me to the yes. I have a white background. I have the person I am interested in and the thing that happens between us." If he continued to work in the arena of fashion, it was to support his family and his "art"-namely, portrait photography. Avedon's sitters essentially comprised a gallery of the rich, the famous, and the powerful. All were treated equally, in such a way that fellow photographer Henri Cartier-Bresson could call them "inhabitants of an Avedon world." Avedon's twentieth-century gallery has been acknowledged as one of the greatest projects of its kind- in historian and curator Maria Hambourg's words, "a gallery of modern souls as intense and vivid as any ever achieved." Yet somehow, the portraits in the aggregate comprised Avedon's self-portrait, or as Thomas Hess wrote, Avedon seemed always to be "trying to climb into his image." After 1990, his portraits of the past and the present were regular features of the New Yorker magazine. 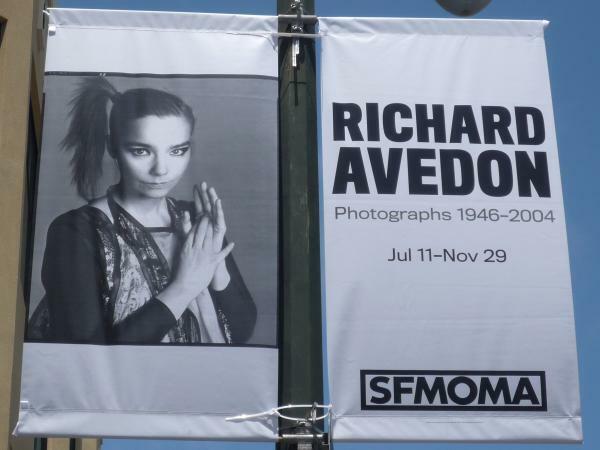 Avedon's work was also exhibited in such prestigious institutions as the Metropolitan Museum of Art, the Smithsonian Institution, the Museum of Modern Art in New York, the Minneapolis Institute of Fine Arts, the Seibu Museum in Tokyo, the Museum "La Caixa" in Barcelona, and the University Art Museum in Berkeley, California. See also Celebrities; Fashion Museums and Collections; Fashion Photography; George Hoyningen-Huene; Vogue. Richard Avedon. "The Family." Special bicentennial issue of Rolling Stone, 21 October 1976. --. Photographs 1947-1977. New York: Farrar, Straus and Giroux, 1978. --. In the American West 1979-1984. New York: Harry N. Abrams, Inc., 1985. --. Evidence 1944-1994. New York: Random House, 1994. --. Portraits. New York: Metropolitan Museum of Art and Harry N. Abrams, Inc., 2002. Richard Avedon, and Truman Capote. Observations. New York: Simon and Schuster, 1959. Richard Avedon, and Arbus Doon. The Sixties. New York: Random House, 1999. Baldwin, James, and Richard Avedon. Nothing Personal. New York: Dell Publishing Company, 1964. Thurman, Judith, and Richard Avedon. Richard Avedon: Made in France. San Francisco: Fraenkel Gallery, 2001.